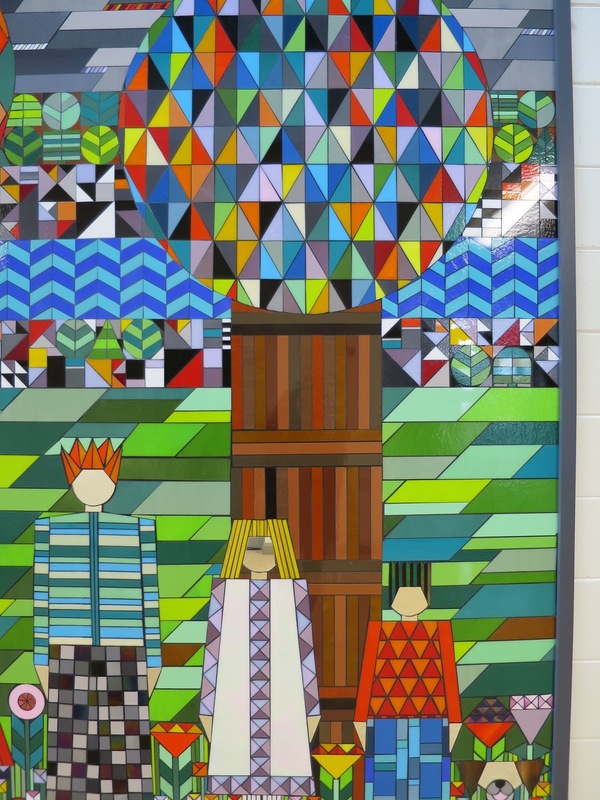 A geometric depiction of 8 life sized pupils and their surrounding local environment . To allow for pupil interaction.,the pupils faces are mirror and are positioned life-sized. The local environment includes the Atlantic ocean, the Burren and the river Fergus. The school ‘reading’ dog Mackey is also depicted.